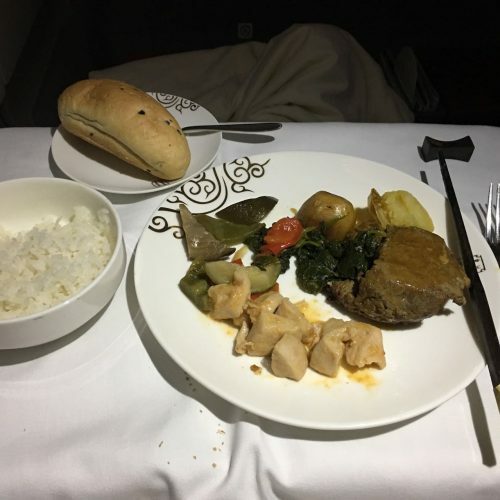 "terrible is the plane meal"
✅ Verified Review | Beijing to Xiamen. 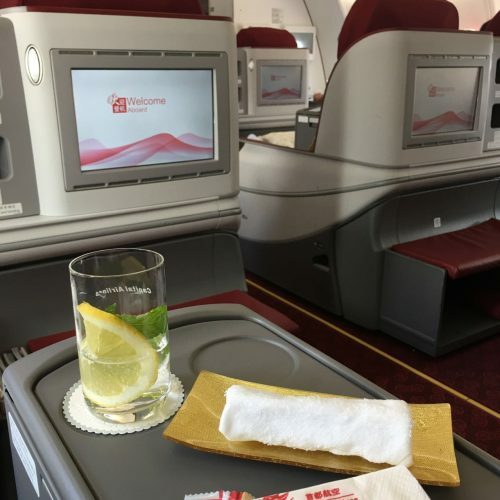 I used Capital Airlines flight from Beijing to Xiamen, and I felt that the flight attendants were in excellent service. Although the meals is a sandwich, the taste is quite good, that my son ate three. I ordered coffee, my wife drank tea, which is very traditional Chinese. The plane arrived 30 minutes late, but it arrived on time, which pleased me. It is worth mentioning that, in front of my pocket, there is an tablet computer, there are many videos and movies, it is very convenient. The only problem is that carbin crew sells souvenirs during the flight, but it's understandable that airlines want to make more money. 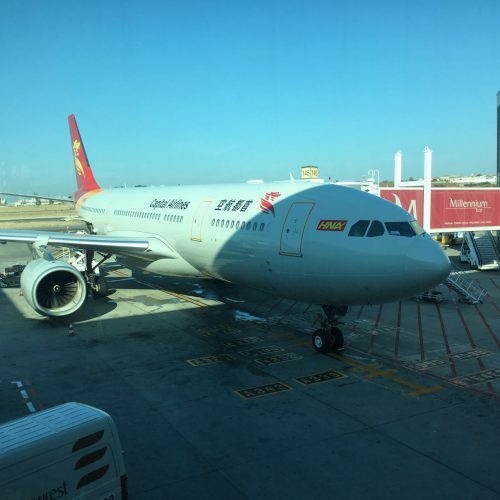 On the ground, Hainan Airlines owns the T1 terminal in Beijing, and the Capital Airlines is a subsidiary of Hainan airlines, so it is also at t1. Boarding pass, checked baggage, boarding is very convenient, the terminal is also very clean. 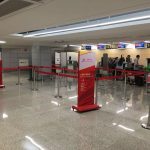 ✅ Verified Review | I took the overnight Beijing Capital Airlines flight from Phuket to Sanya. It was mostly empty, maybe 30 people on the entire plane. They gave me a sandwich but did not have black coffee though. Only coffee with sugar and milk mixed in. The flight was pretty painless. I had to check in at one terminal and then take a shuttle bus back to another terminal to enter the gate. "not informed of flight cancellation"
Departed from Singapore and arrived in Beijing on 01 August 2015 at 1440hrs. 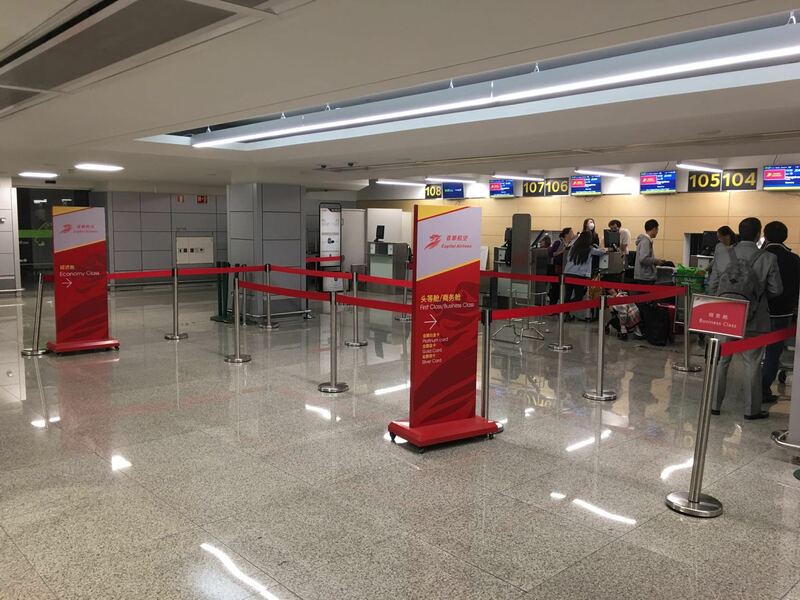 To avoid missing the Beijing Capital Airlines flight as planned to depart at 2110hrs the same day, we went to the Information Counter at Beijing Capital International Airport to confirm the terminal for boarding. We were only aware and informed that the flight has been cancelled upon checking at the Information Counter. From the flight booking details, it was clearly stated one of my company’s contact number and email. However, the airline did not ensure that we were informed of the flight cancellation. 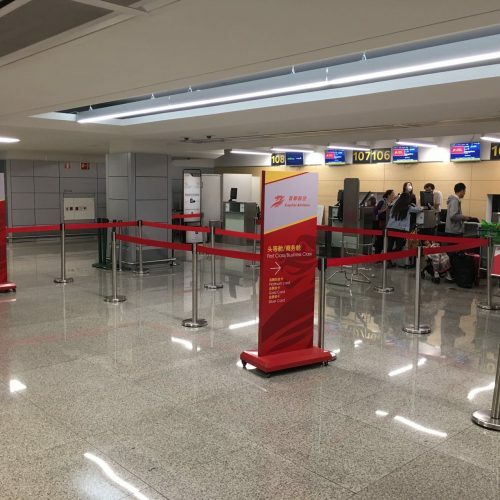 After checking at the Information Counter, a phone call was made to Beijing Capital Airlines to re-confirm the cancellation of the flight and to find out why we were not being informed. No answer was given. 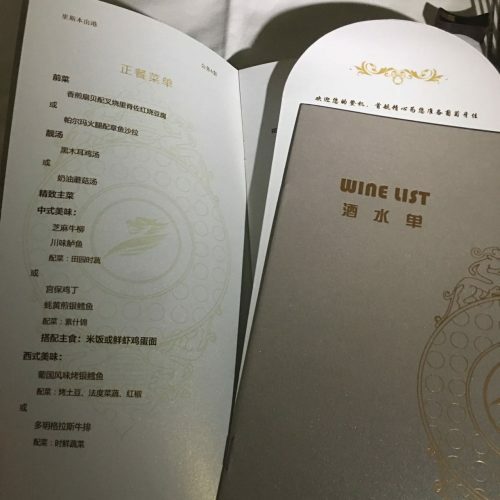 In view of our original arrangement in Hulunbuir, we also check with the Beijing Capital Airlines on the next earliest available flight to Hailar. However, all flights to Hailar was fully booked due to peak season. And we were informed by the airline that the earliest available flight was on 05 August which affected our original plan greatly. To minimize the delay to Hulunbuir, we have no choice but to source for alternative flight from another airline, having the earliest available flight on 04 August. According to our conversation with Beijing Capital Airlines's operator, the airline was able to refund our tickets. After made a request of the Flight Delayed Certificate and ultimately we received it after we come back from our trip. Reason stated in their certificate is cancelled due to aircraft adjustment. We were required to write-in to request to claim of our refund and follow-up by some other procedures. However until to-date, we are yet to received a reply from the airline. We find no other way to make our request and was like being ignored. No follow-up action by the airline. I hope someone able to assist on the matters. Was unable to find much about this airline in terms of reviews except that it is a subsidiary of Hainan Airlines. My family and I flew with them today from Chengdu to Lijiang China. First impressions of the A319 were good. Aircraft looked reasonably new and was clean. We had fine weather flying across the mountains to Lijiang which made the flight quite comfortable. Was on time leaving and arriving.